Elle Fanning, so wonderful in the upcoming Somewhere, is no help here. There are so many terrible ideas in Andrei Konchalavsky’s The Nutcracker in 3D that the terrible execution is almost irrelevant: Even if the film were well done it would still be a travesty. Start with the notion of reducing the amount of dance to about 45 seconds, axing most of Tchaikovsky’s score, and writing lyrics for what’s left, which is mostly iterations of “Dance of the Sugarplum Fairy.” Go on: Try singing something — anything — to “Dance of the Sugarplum Fairy” and see how awkwardly it sits (or stumbles) on the tongue. The lyricist, Tim Rice, squeezes two songs out of that over-familiar piece, the first, “It’s Relative,” sung by a miserable-looking Nathan Lane as the children’s mysterious uncle. Said uncle is now, for no reason I can discern, Albert Einstein. Nothing like trimming the Christmas tree with your Jewish relatives. As virtually the whole Nutcracker ballet is taken up by the female protagonist either dancing or watching fairies and toys dance, a story must be concocted to fill out the film’s running time. This is less of a problem than you’d think, since the early scenes are more prolix than anything since Victorian translator William Archer slumbered over his last Ibsen play. 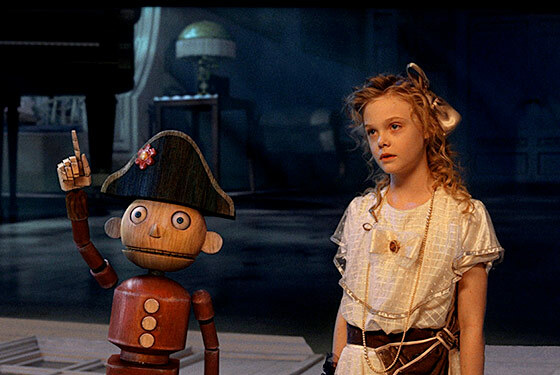 This Nutcracker is really a cursed boy prince who calls himself NC, and he and Mary (Elle Fanning, who fortunately salvages her career with a lovely performance in Sofia Coppola’s Somewhere) must take on the Mouse King (John Turturro) to save the world. Turturro manages to be rather elegant, but someone had the stunningly bad idea of making him a black-clad Fascist leader and his mouse soldiers storm troopers. Is this movie a tax shelter? Is there some The Producers–like scheme to open and close in a week and make off with the unused three-quarters of the budget? Amid the laborious CGI chases in muzzy 3-D, I glanced at my 8-year-old daughter, who put her hand on my arm and said, “It’s okay, Daddy. I’m not mad at you for taking me to this.” That’s what I call a Christmas miracle.